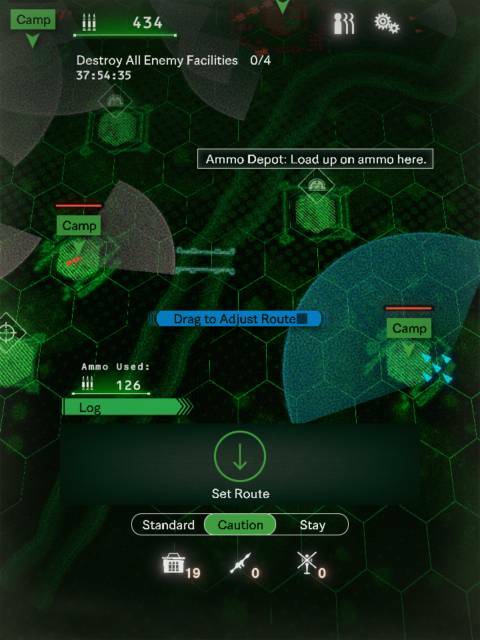 Black Command is a strategic war sim where you take command of a squad of troops to complete carious missions. Here are some tips and strategies to help you get started in the game. Strike from behind to utilise a surprise attack. If done successfully your squad will take no damage, and use no ammo. You don't want to be seen by the enemy first, especially if they have a longer range than you, use the caution motion control to creep up on an enemy, you move slower, but you are less likely to be seen. After you have set your route target marker, drag the blue route line to change the shape of your path to try to avoid passing through the enemy line of sight. if you can manage to find a route which creeps up on them from behind you should make an easy kill. 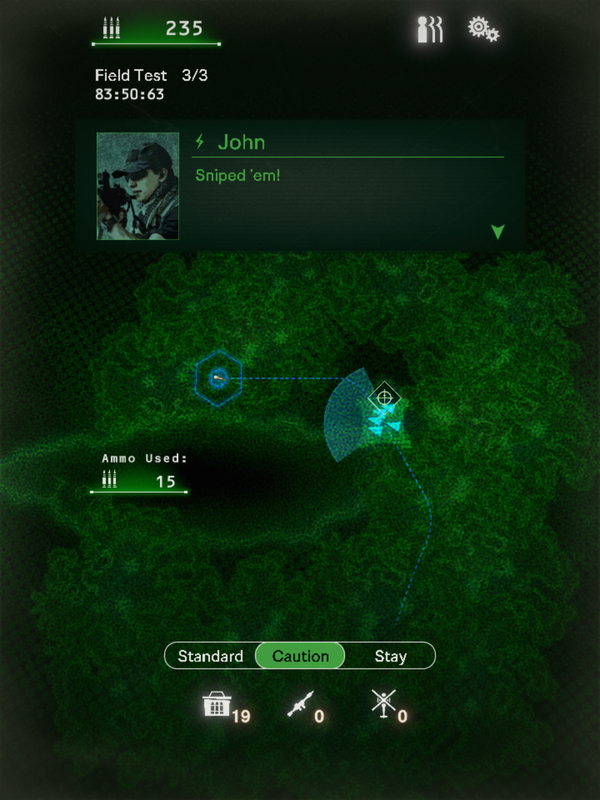 Look out for sniper posts, if your squad can reach one then your sniper can take out longer range enemies with it's sniper. Sniping is less effective though if you are spotted by your enemies. You only have a limited supply of bullets, try to utilise them in the best way possible so you don't run out before the end of a mission. It's not always necessary to kill all the enemies in a mission if you need to save ammo. Look out for buildings that will help you such as the ammo depot and sniper forts. The ammo depot will allow you to restock your ammo and the sniper forts will allow you to take out close-by enemies using a sniper. 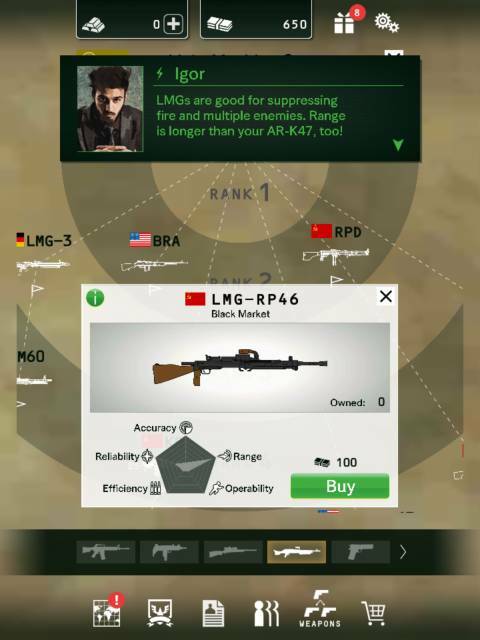 Your squad range is determined by the lead member's range, equip him with a longer range gun to improve the overall range of your squad.